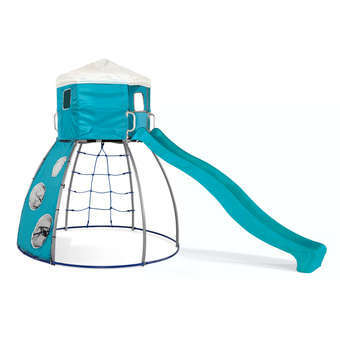 Climb and slide with the new Plum Metal Dome! 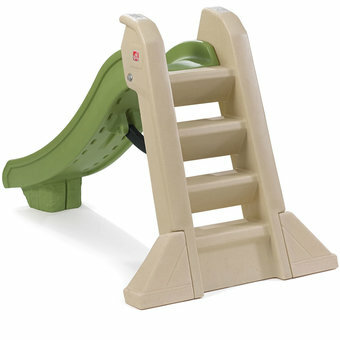 Climb up onto the frame with either the climbing rungs or scrabble net, and then slide down on the 10ft wavy slide. For even more fun, attach a hosepipe to the 10ft wave slide to turn it into a waterslide! The den provides plenty of places to hide and seek, as well as a football target on the outside - kids will be entertained for hours! It also provides shade on a sunny day, and protection from the rain on those not so good days. An all year round winner! Fabric panels create a den for kids to play and hide in. Made from galvanised steel for long protection against rust. Self assembly required - approx 5 hours for 2 adults. 1 year manufacturer warranty on all parts. 3 year old and 9 year old girls.... absolutely love it, company is really nice to deal with. A: For spares or replacements please email us at mail@activitytoysdirect.com, or call us on 0800 028 1168. Q: Hello. Is the slide detachable? Also, is the unit light enough to move easily to allow for mowing grass around it? 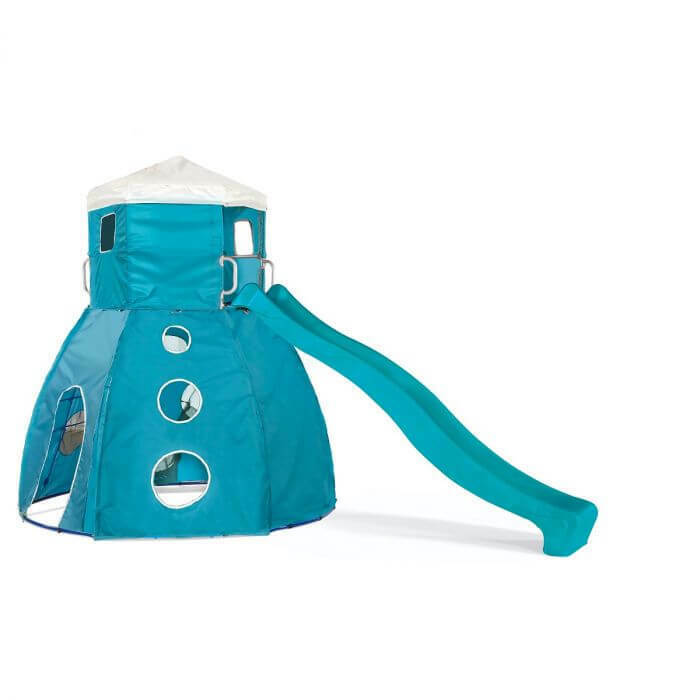 A: The slide does screw off however we would not recommend this as will cause wear on the screws. The unit is quite big a bulky so would prove difficult to keep moving. Q: Our garden has a slight incline. Is it possible to still have this structure if the ground isn’t completely flat? A: A slight incline should not be an issue any more than that the grass should be leveled out to support the Dome. 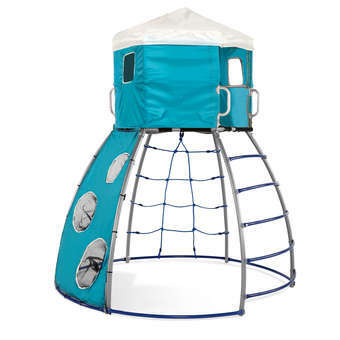 Need to know something about the Plum Metal Dome Climbing Frame with Slide and Fabric Den? Leave your details and your question below and we'll email you the answer soon, as well as publishing the answer for future customers in the Questions section!